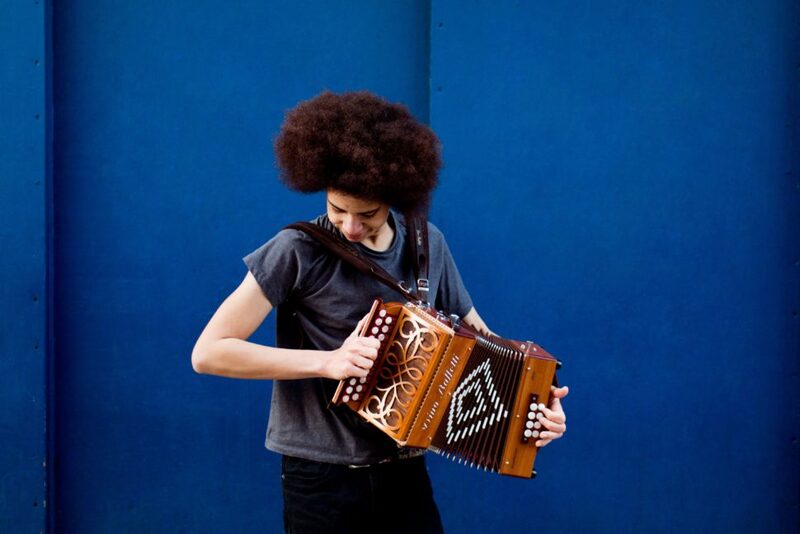 A spine-tingling traditional folk performer, Cohen Braithwaite-Kilcoyne is a fine player of both the melodeon and anglo concertina. His rich voice soars through a range of historical ballads, industrial songs and shanties, with a penchant for material from the West Midlands, where he’s lived for much of his life. Cohen was nominated for a BBC Radio 2 Young Folk Award with Granny’s Attic. Expect traditional English folk songs and tunes along with a few original numbers. Cohen Braithwaite Kilcoyne plays on Saturday afternoon at St Stephen’s Church. Grab a Saturday Ticket to catch him or join us for the Whole Weekend.